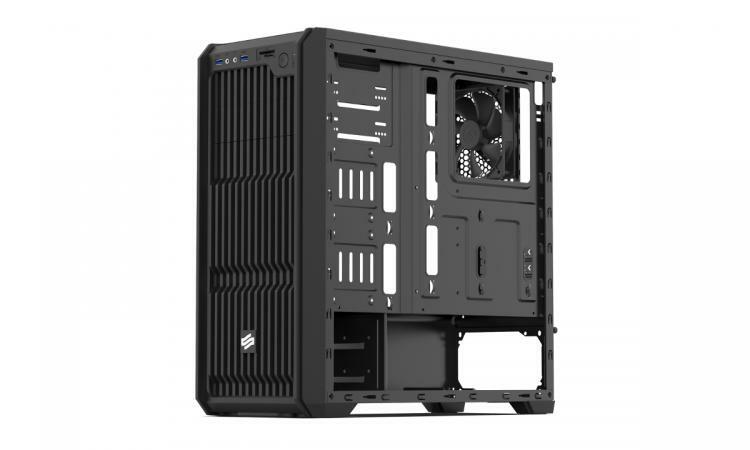 29.11.2018 – Warsaw, Poland – The European cooling and PC case brand SilentiumPC upgrades its airflow-oriented Regnum RG2 case by adding a tempered-glass side-panel. While being part of the entry-level portfolio of the SilentiumPC lineup, Regnum RG2 has surprisingly much to offer. It merges a bold yet classy front-panel with a modern interior layout and an extended I/O panel, making it a great choice for reasonably priced gaming systems. Regnum RG2 TG is designed to surpass the user’s expectations of an average entry-level chassis. The clean and well balanced exterior design with a big tempered-glass side-panel gives a great view on the components inside the roomy interior. 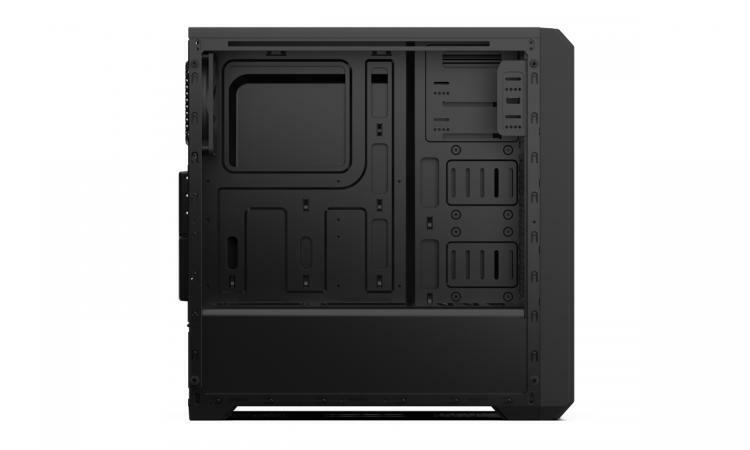 SilentiumPC uses the dual-chamber layout, which dramatically improves airflow and benefits cable management. Being compatible with ATX motherboards, long power supplies, graphics cards up to 380 mm and CPU coolers up to 160 mm, it allows for flexible choice of components. Also available are two external 5,25” drive bays as well as two 3,5 and two 2,5” internal drive bays for desired HDD/SDD configurations. 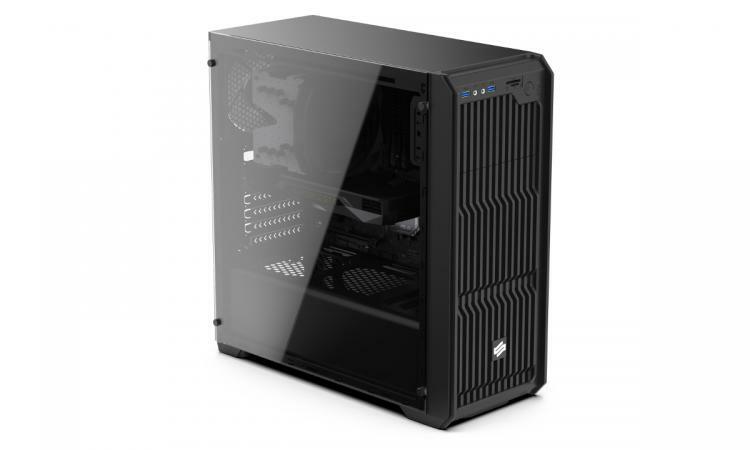 The chassis comes equipped with two quiet Sigma PRO 120 mm fans and supports up to six 120 mm fans in total. By installing the first case fan in the front and the second one in the rear of the chassis, Regnum RG2 is able assure great airflow right out of the box. All intake holes are covered with dust-filters. Regnum RG2 is also compatible with both single and dual radiator all-in-one watercooling solutions. All I/O ports are located at the top of the panel, including power and reset buttons, mic and headphone jacks, two USB 3.1 (Gen. 1) ports and a built-in card reader for both SD and MicroSD cards. - 1 × SD/microSD card reader. PSU (ATX PS2 standard): not included. The Regnum RG2 TG is going to be available in the next days at €39.90 (MSRP, incl. VAT) in Europe.